‘Tomb Raider’ Coming Back To The Big Screen!!! If you don’t remember ‘Lara Croft: Tombraider‘ from 2001 with Angelina Jolie, then you’ve been living in one hell of a bubble. This was one of the first video-game to big screen adaptations that gave fan-boys the world over chubbers when Jolie poured herself into her costume and ran around the set living out every fantasy the game inspired. Evan Daugherty (‘Teenage Mutant Ninja Turtles‘, ‘Divergent‘, ‘Snow White and the Huntsman’) has been brought in to work the script for a re-boot of ‘Tomb Raider‘, Warner Bros and MGM are joining forces to co-finance the film which Warner Bros will distribute. Hoping to rekindle the fire the original and the 2003 sequel created by bringing in $432 million worldwide, the remake is on a fast track. 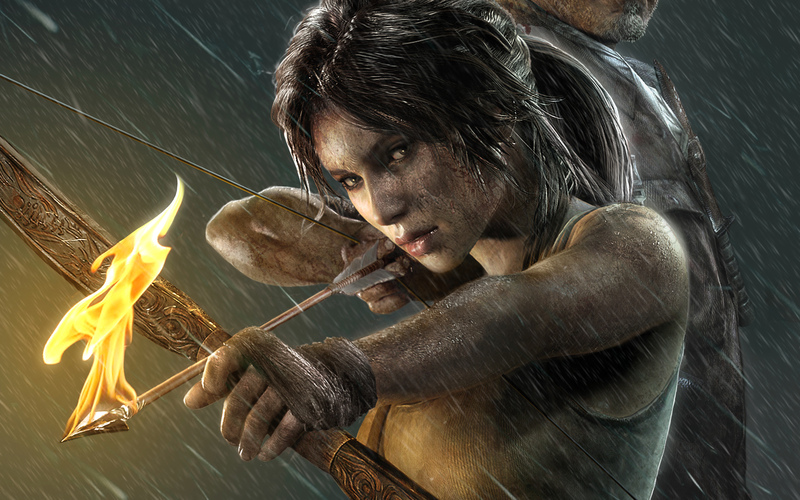 The feature will follow a younger Lara Croft going on her first adventure. Meet Your New Lara Croft: Alicia Vikander!!! Rebel Wilson To Star In ‘Dirty Rotten Scoundrels Reboot!!!! Eli Roth Behind ‘Death Wish’ Reboot Starring Bruce Willis!!! This entry was posted on Wednesday, February 25th, 2015 at 4:56 pm	and is filed under Film, News. You can follow any responses to this entry through the RSS 2.0 feed. You can skip to the end and leave a response. Pinging is currently not allowed. Is this a Jennifer Lawrence vehicle? No word on any casting info, yet. She would do well in this, but I wonder if she’d consider it after ‘The Hunger Games’. « Adam Rodriguez Cast In ABC’s ‘Runner’!!! [about Kathleen's internet friend] Maybe he's fat. Yep he's fat. He's a fatty. You don't care? You don't care that he has to be lifted from his house by a crane? I think that is very unlikely.